JOIN US FOR SOME LAST MINUTE MAGIC. LATE NIGHT SHOPPING SHOWCASING ORENDA CERAMICS. YOU LOVE HER MOON TUMBLERS - COME SEE THE REST! As London’s first modern conscious space, we’ve sometimes had to mix things up with a bit some trial and error... that’s what happens when you’re trying to make big shifts. Soooooo..... we’re launching SLC Hangouts once a month on a Saturday and a Sunday at the shop. 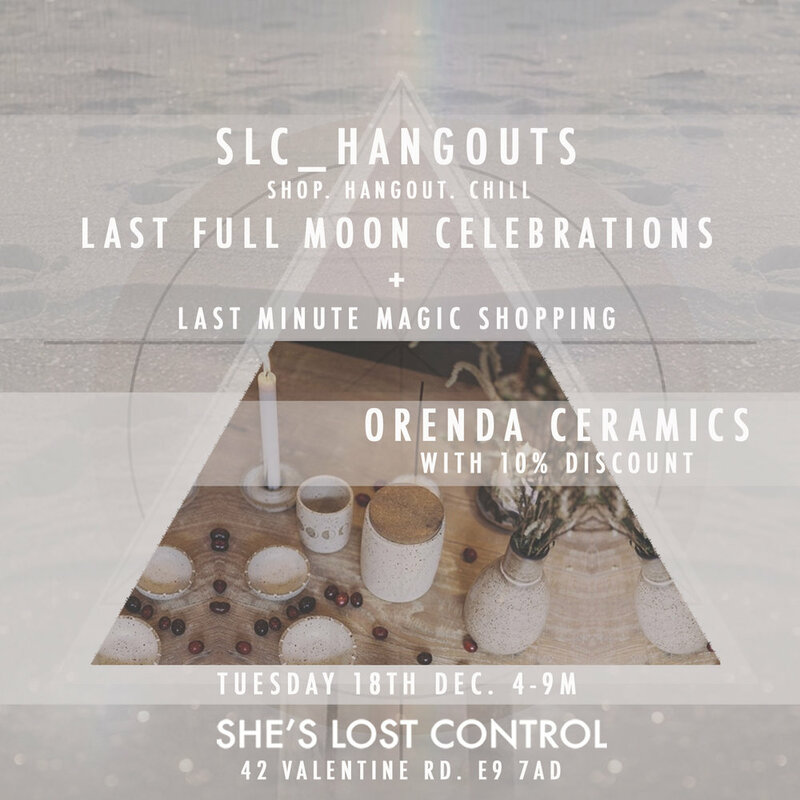 We’ll have lines-ups of all our fave mystics, drinks, special offers, guest brands and general good vibes! This means that the other Saturdays and Sundays in the month will be freed up for all your events needs... we’ve been inundated with your requests to collaborate on day retreats at SLC HQ on a Saturday, so that’s what we’re gonna do! . If you’re a likeminded brand that wants to get involved with the SLC Hangouts, or a practitioner that wants to host an event then just give us a shout! SLC_HANGOUT - OUR LAST SATURDAY!